Yandi Ma is a patent engineer in the firm's Intellectual Property Group. He assists patent practitioners with the preparation and prosecution of domestic and foreign patent applications, and conducts patentability searches. Yandi's core technical background is in the field of chemical engineering. He focused his academic coursework in process design and control, transport phenomena, kinetics, colloid and interface science. Prior to his career as a patent engineer, Yandi worked as a process engineering intern with a major food manufacturer. 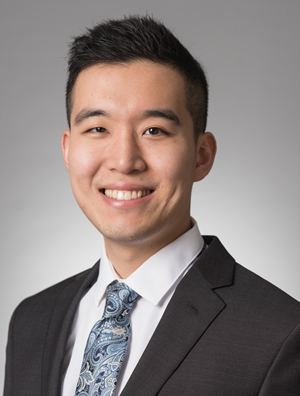 He gained experience in project management, procedural review and analysis of production equipment performance, bench-top studies and cost analysis for an innovative thermal process. He also interned with a chemical manufacturing company, where he led projects involved with production efficiency studies, root cause analysis and plant safety. As an undergraduate researcher in the Department of Chemical and Biological Engineering at University of Wisconsin - Madison, Yandi conducted research on the project to upgrade bio-derived intermediates to valuable chemicals using catalysts and the development of supported metallic catalysts for hydrodeoxygenation of large organic molecules to aromatic monomers.